Heavy snow fell across the Seattle area overnight Monday, causing schools to close, plenty of crashes, and there's still more to come. 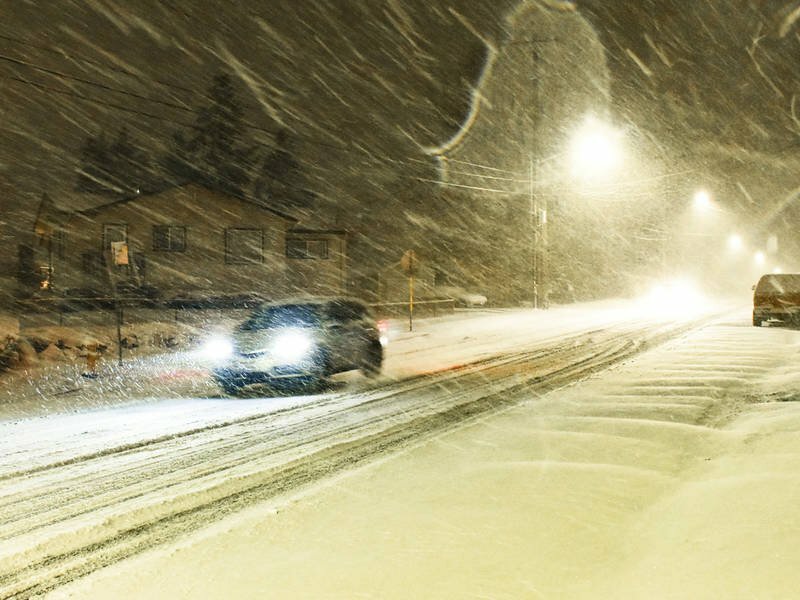 SEATTLE, WA - Heavy snow fell across the Seattle-Bellevue area overnight Monday, forcing schools to close, causing countless crashes and spin outs, blackouts, and there's more snow on the way, according to the latest forecasts. Snow is expected to continue throughout the morning and into the early afternoon. Current forecasts show we might get more of the white stuff later in the week. Complicating matters, temperatures were in the mid-20s across much of the area, causing ice to form under snow. The region is under two snowstorm warnings. There's a winter weather advisory in effect until 1 p.m. for the Puget Sound coastline from Shoreline to Tacoma. But areas east of Lake Washington are under a winter storm warning until 1 p.m. that calls for up to 8 inches of snow in some areas before it stops. Snow totals as of Monday morning varied widely across Puget Sound, from about in inch in south King County to more than 6 inches in the Woodinville area - and even higher totals in Snohomish County and farther north. Most school districts were closed in King County Monday, including Bellevue, Seattle, Mercer Island, and Shoreline. Also closed Monday: the University of Washington; King County Superior Court; and Seattle Public Utilities canceled recycling and garbage collection. While plows were out in force Monday morning, the snow was falling fast, and many arterial roads and highways - including I-90 over Lake Washington - were covered in snow. "Stay off the roads this morning if you can," the National Weather Service warned Monday morning. In Seattle, about 4,000 people lost power, according to Seattle City Light. A few hundred Puget Sound Energy customers in the Seattle area were without electricity Monday morning, most in Renton. Many of those outages were fixed by around 9 a.m. Monday. Crashes and spin-outs were almost too many to count, but were affecting major roads like SR 18 in Issaquah, the SR 167 and I-405 intersection, and a King County Metro bus was stuck at the SR 522 off-ramp to I-405 in Bothell. Check WSDOT's Twitter feed for the latest updates. One roadway that was clear of snow: the new SR 99 tunnel under Seattle, which opened to traffic just after midnight Monday.